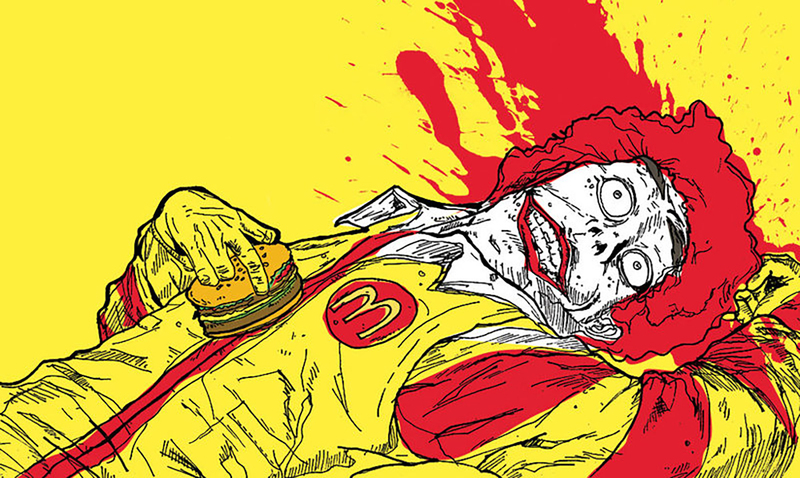 The fast-food industry is one that is highly tied to American culture. Regardless of where you live in our country you likely have at least one fast food restaurant within a short distance from your home. They can be found in malls, rest stops, airports, and even on school campuses. Known for being a quick and cheap meal option, the fast food industry generates a global revenue of over $570 billion, with $200 billion being attributed to the United States alone in 2015! With over 186,000 fast food restaurants in the United States and growing, the reign of the fast food restaurant is far from over, but do we know everything about these industry giants? 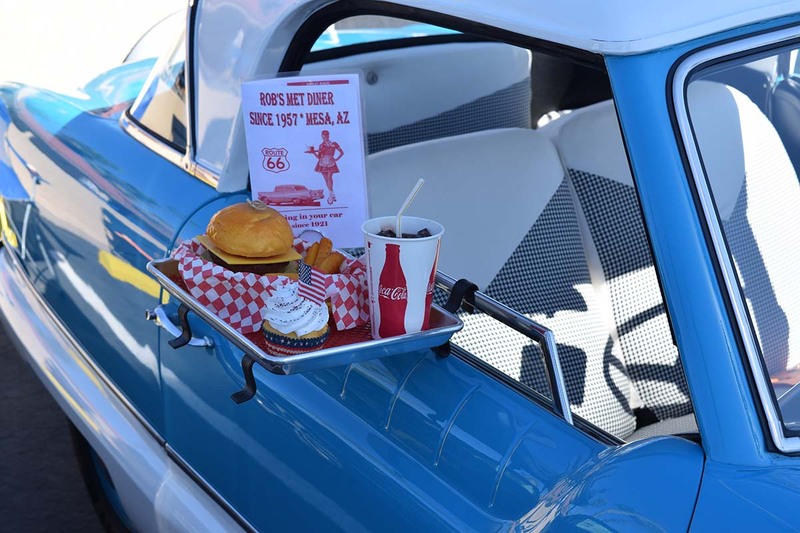 As our society began to make the shift into eating a more health-conscious diet, fast food restaurants realized that they were about to be left behind in the dust. In an effort to retain their customer base, they too came out with their ‘healthy alternatives,’ a menu of salads, wraps and even apple slices for children. Caught up in the buzz, many Americans have taken them at face value, however, don’t be fooled! If you actually take the time to read through the nutritional information on these healthy food options, many would startle you! Let’s break it down with the McDonald’s Kale Salad, one of the items often viewed as being the healthiest that they officer. In an exposé, CNBC revealed that the kale salad has 730 calories, 53 grams of fat and 1,400 milligrams of salt. Meanwhile, the Double Big Mac, often believed to be one of the restaurant’s worst offenders, has 680 calories, 38 grams of fat and 1,340 milligrams of salt. Don’t take these ‘healthy’ titles at face value, do your own research. #3 – What Chemicals are You Eating? While many of us are aware of the risks of monosodium glutamate (MSG) as information surrounding the chemical has become a topic of conversation among those pushing for a healthier diet, MSG isn’t the only ingredient to be aware of in your favorite fast foods. Depending on the food and drink you are ordering, you may be assembling a delicious meal of butylated hydroxyanisole (BHA) a known carcinogen added to oils to prevent them from going bad, hydrolyzed vegetable proteins packed with monosodium glutamate and high levels of salt, along with both artificial dyes and flavors carrying a number of risks included, but not limited to, being known carcinogens. You read that right, a scandal in China has called the quality of the food served in fast food restaurants into question. The Shanghai Husi Food Co. (owned by US-based OSI Group) was accused by Chinese authorities of intentionally selling expired meat to their customers. The company supplies such well-known brands as Pizza Hut, McDonald’s, Kentucky Fried Chicken, Taco Bell and Starbucks. 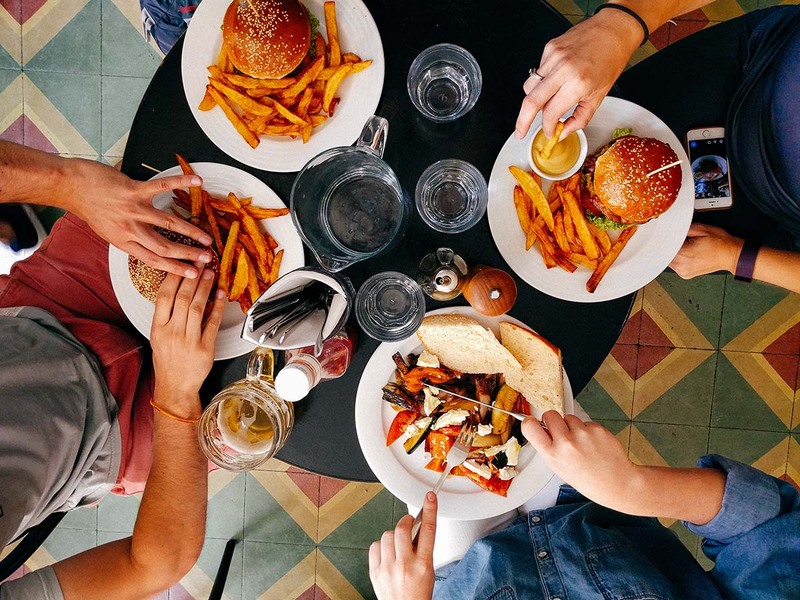 While many businesses have, since that point, cut their ties to the company, this scandal has led many customers to reconsider the food they are consuming. Unable to confirm the quality of their foods, and no longer as quick to blindly trust the fast food giants, many reported a drop in sales following the situation. Specific to one particular restaurant, but definitely worth noting, does anyone remember the big controversy surrounding the accusation of McDonald’s for using a pink slime substance to create their burgers? McDonald’s USA refers to the substance referred to publicly as ‘pink slime’ as ‘lean finely textured beef treated with ammonia,’ and while they don’t deny having used this product in the past, they assure consumers that they phased it out in 2011. That being said, it raises the question of what we are actually being served in our meals. You may look at that smiling image of Colonel Sanders or the Golden Arches associated with McDonald’s and see nothing but an innocent attempt at branding, drawing you in with a familiar image, but new research reveals there is a much darker truth to these iconic logos. In a study published in the ‘Social Psychological and Personality Science’ journal, researchers reveal that the fast food symbols that we see may actually be hindering our ability to be happy. These logos are further enforcing a problem that is already widely experienced in our society, chronic impatience, making it more difficult than ever to stop and ‘smell the roses,’ enjoying the happiness in our day to day activities. With the increased push in our day to day lives to steer clear of high preservative foods, the fast food industry should raise a huge red flag! They pack so many preservatives into their food that in some cases, it literally doesn’t go bad… ever… Don’t believe me? Check out this live webcam in Iceland that features the last McDonalds burger that was made there. This meal is now over 8 years old and still looks disturbingly the same! For those of you who are reading this and believe in the animal rights movement, I’m sorry to disappoint you but in order to meet the high demand at a cheap cost, fast food companies use large commercial or factory farms. In fact, this carries well beyond the fast food industry with the ASPCA reporting that 99% of farm animals are raised in factory farms! These locations focus on efficiency and their profit rather than the welfare of the animals they are raising, often resulting in animals cramped into tiny spaces, with poor and unsanitary living conditions, denied access to sunlight, fresh air or even a proper diet in many cases. By supporting the fast food industry, you are, in turn, supporting these farming operations. When you order your next fast food meal be cautious, there have been some startling reports about the horrifying things that have reportedly been found inside of some of the most popular fast food options. This isn’t even referring to the frighteningly high level of fat and sugar… A woman in Pennsylvania sued Chick-fil-A after discovering a dead rat baked into her sandwich, while a Burger King customer in Vermont was surprised to see an unwrapped condom inside his sandwich. While situations aren’t common when you consider how many meals are actually sold across the country, they are, in my opinion, too common to be overlooked entirely! If you are looking to eat somewhere that provides workers with a safe, respectful and healthy working environment, you may want to take your hard-earned dollars elsewhere. Fast food employees are often paid minimum wage, denied fair treatment, and even, in many cases, denied the breaks that they would receive in other areas of employment. Reports filed with the Occupational Safety and Health Administration show that many fast food employers don’t have basic first aid kits, and employees are constantly under pressure to continue working in what they view as unsafe work environments. National surveys even show that burns, cuts, falls and other injuries are considered to be common among those who work in the fast food industry. This is likely not an area you have ever put significant thought into, but did you know that the packaging used on your fast food meals may have an impact on your health? 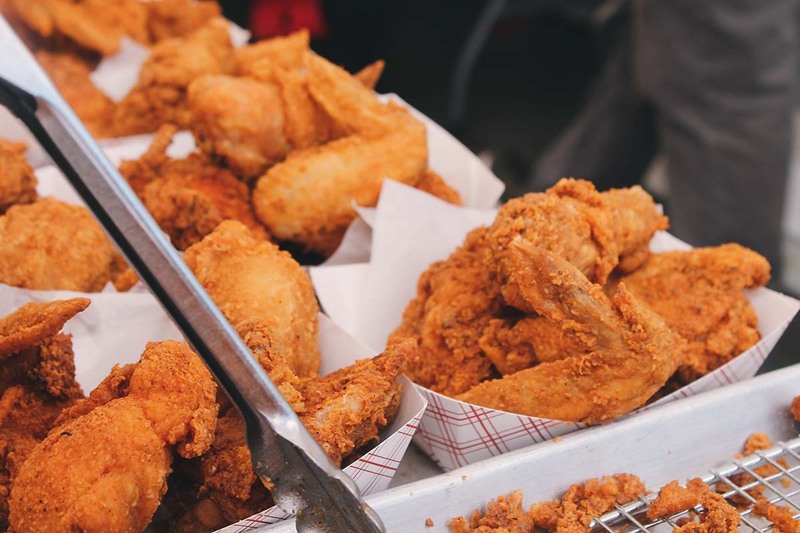 A report published in the journal ‘Environmental Science & Technology Letters’ revealed that 1/3 of fast food packaging tested contained fluorinated chemicals, added to the products for their grease-repellent properties. The report states that, “the most studied of these substances (PFOSs and PFOAs) has been linked to kidney and testicular cancer, elevated cholesterol, decreased fertility, thyroid problems and changes in hormone functioning, as well as adverse developmental effects and decreased immune response in children.” Definitely something to consider the next time you’re unwrapping a burger. Many of us grew up with memories of birthday parties and events spent at our favorite fast food restaurants, a staple of the American childhood. However, have you ever stopped to consider the real purpose of creating these meals and specials for children? It’s all a big marketing ploy, designed to draw in the American family. If your children want to attend, then their parents are more likely to give in, bringing the whole family to the restaurant. Furthermore, they are creating lifelong customers. After all, if you are hooked at the age of 5, you are more likely to continue going throughout your own adult lives, bringing your children and continuing the harmful cycle. Have you ever considered what the staff may be doing to your food after you became angry at the counter? There have been some seriously disturbing stories surfacing across the country revealing incidents of food tampering, leading me, for one, to feel far more comfortable making my own food at home. One fast-food employee at a Jack’s restaurant in Columbus, Mississippi was arrested and charged with intentionally serving contaminated food after smearing menstrual blood and saliva on a customer’s burger. Even more disturbing is the fact that a co-worker was allegedly fired for reporting having witnessed the event to an assistant manager. When we are considering the impact of fast food on our lives, many people focus solely on the food that they are consuming, overlooking those sweet, fizzy drinks that regularly accompany our meal of choice. The sweet taste in your favorite beverages is largely from the inclusion of high fructose corn syrup (HFCS), a highly processed substance that is used as a sugar substitute. This largely unhealthy substance has been associated with an increased risk of heart disease, obesity, dementia, liver failure, cancer, tooth decay and a number of other health concerns. Let’s be honest here, how many of you eat at a fast food restaurant more often during their sweepstakes giveaway, like the Tim Hortons ‘Roll up the Rim to Win’ or McDonald’s Monopoly? Swept up in the excitement of the chance to win big prizes, we overlook the actual odds of walking away with one of those incredible prizes. Sure, it happens, the contests aren’t rigged so that no one wins (I’ve even known a big winner personally), but let’s break this down for a second by looking at the Monopoly game. They draw you in by strategically making some pieces way more common than others. In each set of pieces, one is made to be extremely rare. This means that many of you will collect, for example, 3 out of 4 of the yellow properties, however, it was recorded that the odds of receiving Ventnor Ave is 1 in 300 million. So, don’t go holding your breath! Unknown to many Americans, the fast food that you eat has a horrible impact on the environment, and not just here in the United States! These industries have an incredibly high carbon footprint, releasing emissions at an alarming rate at every stage of production. From delivery to cooking, packaging to producing, it is surprising that these companies continue at this rate without causing a bigger controversy in the mainstream media. Furthermore, the number of forests that are cleared in order to make space for these factory farms is alarming. These major fast food brands have even been connected with the destruction of the Amazon rainforest. When you really break it down, eating fast food has been associated with a number of eye-opening health risks. While you may argue that the food ‘tastes good’ (many, myself included, would argue this point), you need to remember that the food you eat is the fuel that you are providing your body. The American Heart Association reports that a diet high in fast food has been linked with an increased risk of heart disease and stroke, high blood pressure and obesity. If you are looking to promote healthier living, start by reassessing the foods you are eating.